This weekend, I spent several hours with mud on my head. 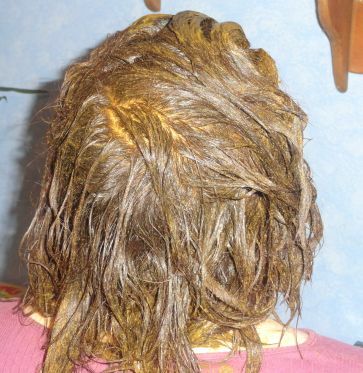 Well, to be honest, it’s henna, which looks and feels like green mud, and smells like fresh hay. I do this every few months. Call me crazy, but I’m in love with henna— it gives my brown hair slightly reddish tones; turns all my white hairs to red; is non-toxic, as opposed to commercial hair dyes; is cheap; is an easy do-it-yourself project; and it actually strengthens and protects hair, making it healthy and shiny.